Abandoned small business on Mackay street in downtown Montréal. There used to be a gay bar and a restaurant there but when I took these photos the place was bordered up and looked unoccupied. It's difficult to describe a building such as this one...was it a house at one point? I'm sure there's a long history to it which I'm not aware of but these kind of small businesses/houses are pretty rare in the downtown area. It was a stable and coach house :) You can tell by the ventilation cupola on the roof which took the ammonia smell from the horse's pee away once upon a time. It probably housed the horses and carriages of the people who lived in the grey stone house that it is attached to. The side view of the building shows how it once had a hay loft access on the top floor but then in modern times, the opening was extended down to the ground floor to make a very long and cool looking window. Thanks so much, Leila. So it's easy to assume that this structure is old. I hope it'll be preserved. 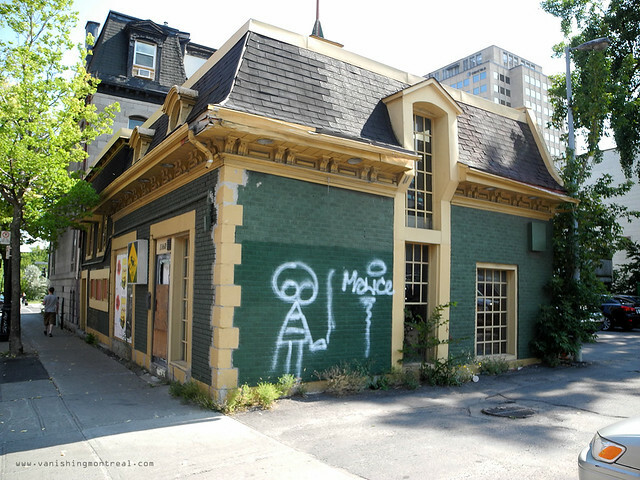 Yup, definitely Victorian and hopefully someone will have the sense to preserve it as there are so very few old stables left in Montreal now. 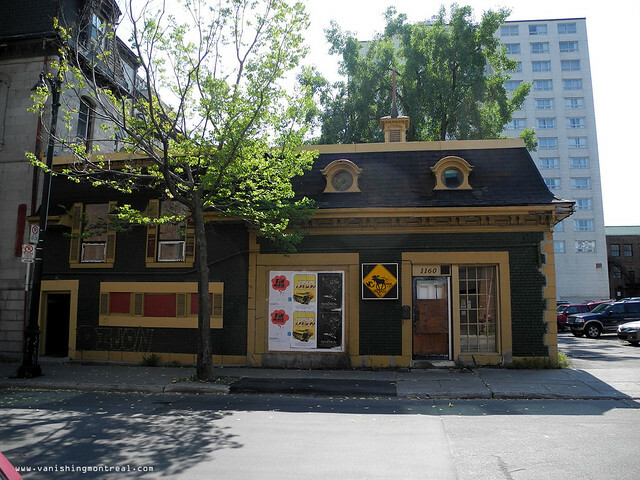 The only one off-hand that I can think of in the downtown area (other than the one at the Royal Vic- the old Ravenscrag stables), is the one on Hillside in Westmount not far from Plaza Alexis Nihon. That was a riding school and stables in the 1910's but now houses the 3rd Field Engineer Regiment of the Canadian Army.